Live, life drawing is all the rage amongst the generation of Instagram artists that have climbed on board the fashion illustration band wagon and made it their own but both Ling and Haines have some form in this particular department of artistic exhibitionism. Ling in 2008 at The Barbican for the Viktor & Rolf show and then later in The Lydia and Manfred Gorvy Lecture Theatre at the V&A in 2009. Haines in 2011 for a press event at Macy's and probably on other occasions before and since. One of the interesting and clever things about both artists is their ability to work on a very large scale without the works loosing anything of their generic vavavoom. Other than a plan to work life size, the approach to this project is relaxed and unprescribed. No one knows quite how it's all going to work out so it's difficult to set expectations. Will they politely give each other space or will it be something of a battle of egos that leads to the correcting, remodelling, erasing and colouring over of each others contributions. Will they fall in love or leave and never speak to each other again? 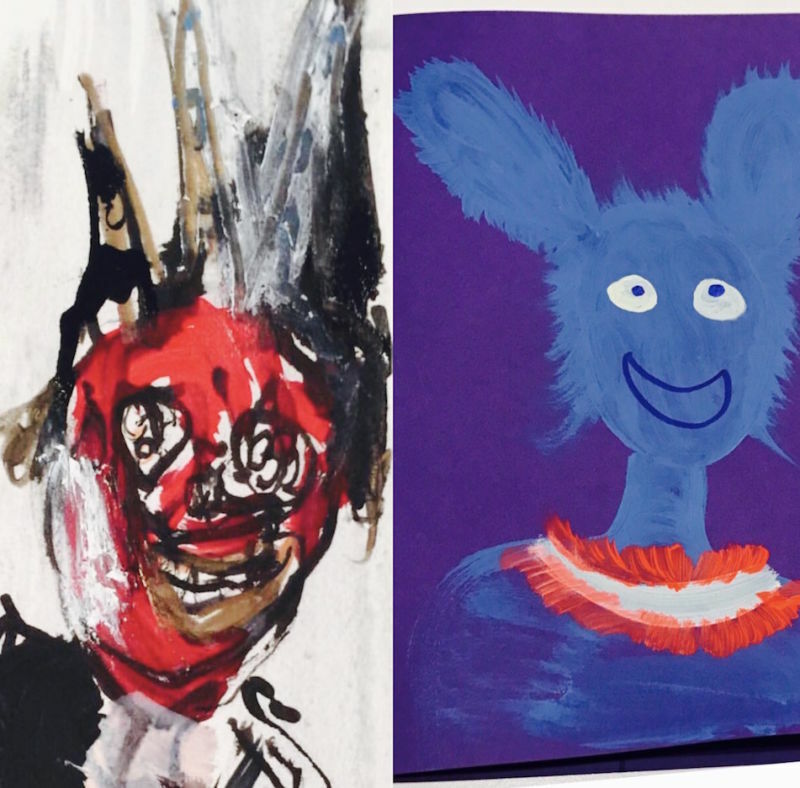 Will we it be more Punch & Judy or Laurel & Hardy than Warhol & Basquiat? The models for this occasion are Evangeline Ling (Storm: Girl), Ling's youngest daughter and her BF Tom Hardwick-Allan aka Tom Fool (Wilhelmina: Boy).